1. Olive oil doesn’t get better with age, it gets worse. Look for the harvest, milling, or bottling date, an extra virgin olive oil is best used within 18 months of milling. 2. Do not buy olive oil that’s in a clear glass or plastic bottle. Dark glass, tin, or ceramic protects the oil from light exposure, which affects quality and shelf life. 4. Store the oil away from light, air and heat, inside a cabinet or pantry is ideal, not the refrigerator or next to the stove. 6. Buy it fresh and use it up! The olive oil harvest in California (where the vast majority of domestic olive oil is produced) is in October and November. Buy a new harvest oil and use it within a couple months from opening the bottle. 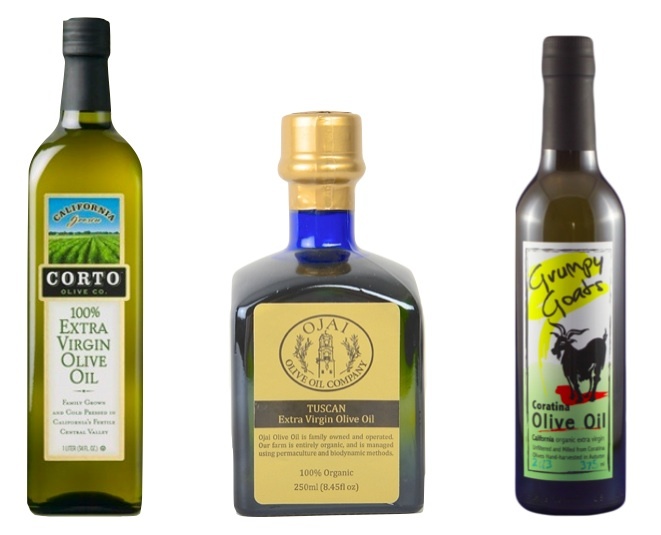 Photo caption: from left to right: For an all-purpose consistent oil and great kitchen staple that’s affordable, opt for Corto Olive Oil Co. For a finishing oil for salads and soups and the like, Ojai Olive Oil is really nice. And for a more unique single-varietal oil, Grumpy Goats from Capay Valley will not disappoint. These tips were reposted with permission from Lizzie Garrett of the blog Tomboy Style. You can read the original blog here.